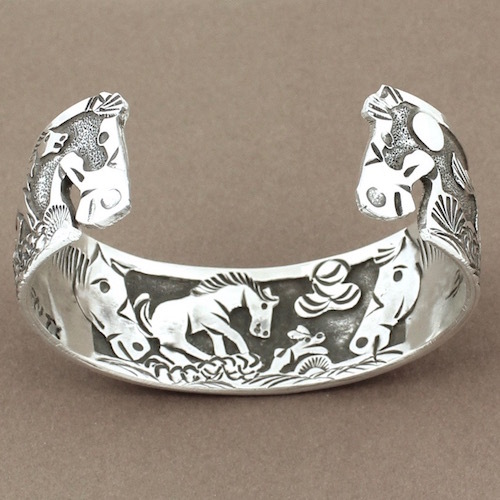 This is a handcrafted horse story teller bracelet by Lloyd Becenti an award winning Navajo artist. 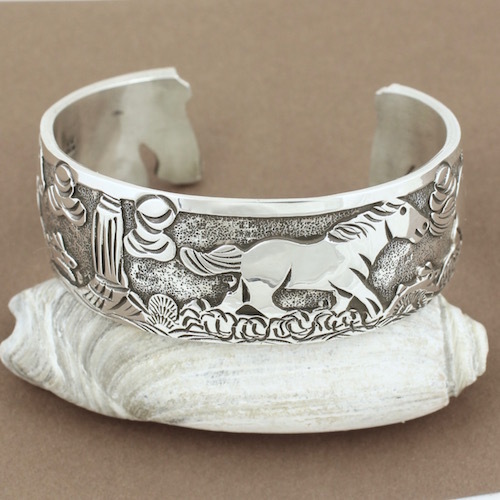 This beautiful horse inspired bracelet is stunning both on the front, on the back side and inside. 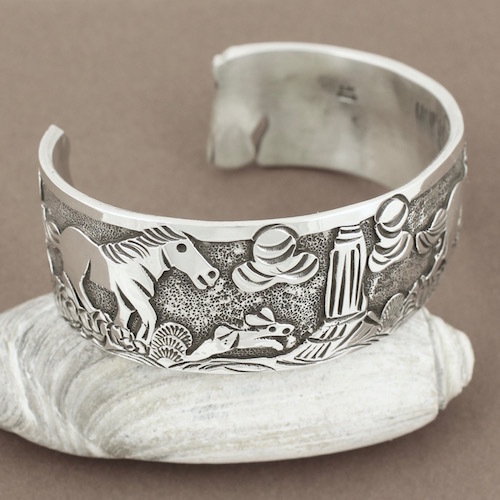 All in Sterling Silver. 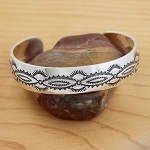 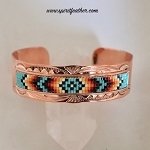 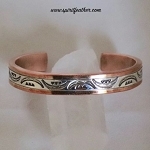 The bracelet fits a standard woman’s wrist, 6-7” and just a little under 1” wide. 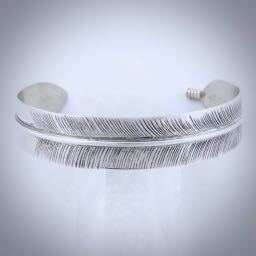 The bracelet can be slightly adjusted without damaging it. 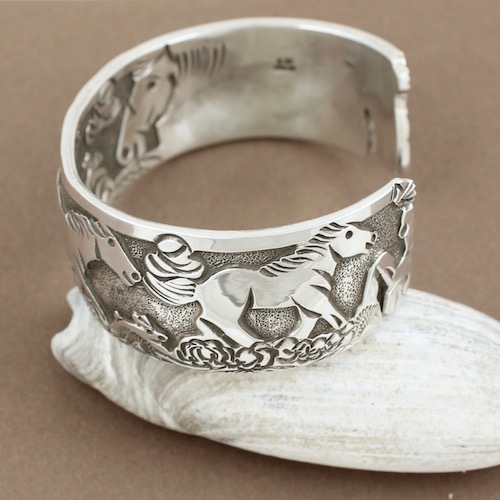 His applique’ styles are admired around the world, Museums like Heard and Smithsonian has a permanent display of his work.